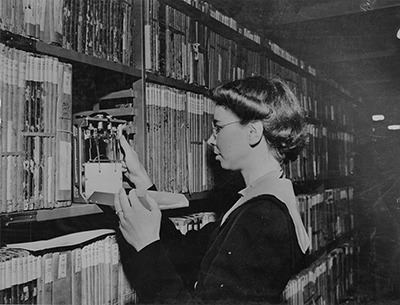 Get Funding for An Archives Preservation Survey! I Know What’s Wrong! Why Do I Need Someone to Tell Me? 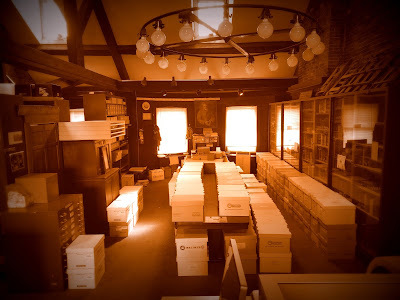 You probably already understand a lot of the things that are less than ideal about your Archives and the ways in which your collections are stored. It shouldn’t be that hot. It shouldn’t be this damp. Those cardboard boxes are not up to snuff. None of these windows effectively block UV rays. And your list of “What’s Not Right Here” can certainly be used to lay out projects, create shopping lists for supplies, and be the impetus of policy change. Or perhaps you’re not sure about all of the issues and need some expert advice. In both cases, you might want to consider a preservation survey. They aren’t just for the preservation un-savvy; they can be a means to an end: namely grant funding. If you have funding for a survey and all of these subsequent modifications you should make, that’s great! But you probably don’t have enough for all of it, and that’s where grant funding comes in. It may seem a little silly to work on securing funding to get a survey to use to work on getting funding for projects, but the value of the survey will more than make up for the effort spent and it can be used for years as a road map to your next move. So here is how I did it at my institution. In 2009, I drafted a proposal to the National Endowment for the Humanities Preservation Assistance Grants for Smaller Institutions (everyone just call ‘ems PAGs, and the DEADLINE IS IN MAY - SO GET ON IT!!). Awards of up to $6,000 are given out - the perfect amount for a survey and some extras. This was the very first official grant proposal I had ever written on behalf of my Archives! Of course there are other grants out there, but this one's great because it can be used for a survey. Since I live where there is a large preservation organization, I already knew who would do the survey [NOTE: in grant proposal writing we talk as if things are naturally going to happen: “When we have the funding we are doing XYZ…” rather than "IF we got the funding we would do XYZ"]. If you’re not sure who is out there to survey your collection, ask around to find a good consultant (more on that in another post). In your proposal, lay out exactly what your preservation specialist is going to look at and what they will produce after the survey. We hired a conservator to make a day-long site visit to examine our photograph collection and its environs. They drafted a full report of the collections’ overall preservation needs and a list of specific tasks to be carried out in the future. We had some extra money budgeted to purchase supplies to rehouse a tiny sliver of the collection. The grant application, after asking what you will do with funding, wants details about your collections, how they are used, why such a project is important to your institutions, and a slew of other logical questions that should come up when someone wants to give you money. In my proposal I described our photo collections, what types of photographic media we have (lantern slides, prints, negatives, 35mm slides), ballpark figures of how many items, how these things were stored, what they depict, and generally where they came from. I gave details on some of the highlight collections that we own and why they are unique. In describing how the collections have been used I gave specific examples of project topics and outside researchers who came looking for particular things. I enumerated several well-known publications that had sought permission to publish our images. I talked about other cultural institutions that had borrowed imagery for exhibitions and programs. Go in to your licensing records from the past year or two and find interesting places where your stuff has been used. At one point I had a graduate student who spent months viewing and scanning historic photos of New England mountain summits. She went to the locations represented in the images and rephotographed the views. She then compared the old and new photographs to examine the amount of tree and shrub growth around alpine summits as they related to climate change in the Northeast and published a paper of her results. Now that is cool! In this application we also had to explain why our proposed project is important to our organization. And yes, you can lay out what problems you think you have and state that you want the preservation survey to confirm them and uncover other issues. You don’t have to play dumb. You can say that you want the survey to be a road map for what’s next (because it should be). Maybe you want to get to the bottom of a mystery about why some material is behaving the way that it is. These are all great reasons to get a survey, and the Preservation Assistance Grants program officers understand all of them. Otherwise, they probably wouldn’t have preservation surveys as a specific, approved project component in their guidelines. You just have to be convincing that the survey will be truly useful to you and your institution. Be clear and concise. State everything as if you are talking to a complete stranger who has never heard of you, your organization, or your amazing, important, dazzling collection, because chances are they have not. Your proposal will go through a review panel of people from all kinds of other institutions. I’ve served on one of these panels, read twenty-odd full proposals, and if I can’t figure out what you are talking about to begin with I’m going to have a hard time giving your proposal high marks. Keep away from jargon and buzzwords as much as you can. Run your proposal by someone you know who naturally asks a billion questions to see if they “get” what you want to do and why. If the timing is right, bring it to an archives conference and where a button that says “will you read over my proposal?” (and hey, look! There's a conference coming up in New Haven in March! )and give people little sections to look over. Heck, send it to me and I’ll read it! Grant proposals are daunting because they are long, complex, and ask a lot of big questions. Sometimes it seems like a lot of work for not that much money. But they can be a great exercise in thinking through what you really want. And they can give you talking points to justify your collections and activities down the road. In an upcoming posts I’ll talk more about what my institution did when we won our very first grant, got a survey and started down a road of cool, simple projects that made a big impact. Have you submitted a successful grant proposal? Can you offer other tips? Put ‘em in the comments section below and help us all out!